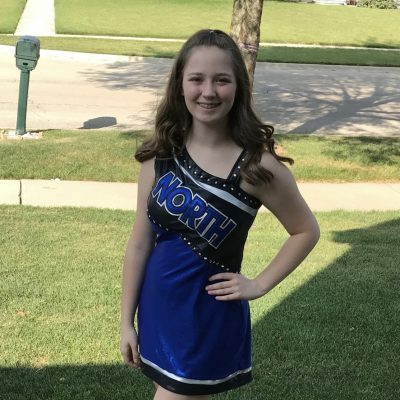 My name is Christina Fiedler and I am a sophomore at St. Charles North. This will be my second year as a member of the SCN Dance Team. I am very passionate about dance and being a member of the team at North has been such a positive experience for me! Kick a Thon is such a great organization and I am so happy to be apart of it. My grandpa died of lung cancer in 2013. It is so important to me that we give our continued support to the American Cancer Society, Fox Valley Food for Health, and Living Well. Organizations like these give so much support to the community and continue to help so many people. By supporting all of these organizations, your donations are helping cancer patients, their families, and our own St. Charles community. I hope you consider making a donation to the Kick a Thon!